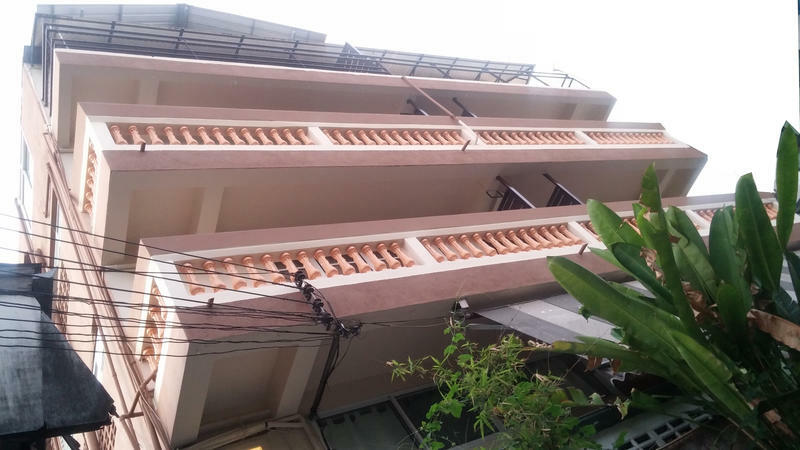 Located in the old town neighborhood of Bangkok, HI Bangkok has been providing safe, clean and affordable accommodations for world travelers and first time visitors to the Kingdom of Thailand for over 25 years. Meet others who know where to go and what to see while in the exotic city of Bangkok. Our friendly staff will welcome you with the traditional Sawadee and make you feel at home during your stay. HI Bangkok is centrally located where you can walk to temples and other landmarks including the infamous Kao San Road or take a tuk tuk ride anywhere you want to go. Also within walking distance of the Chao Praya River, you can take an exciting boat ride to the temple of dawn and other popular spots in the city. From dorms to doubles and twins to triples we have accommodations to meet your needs. All rooms include private baths with hot showers and air conditioning. Prices from 300 baht per person. Breakfast is included with all private rooms and internet and WiFi are free. The hostel is located in a suburb called THEWET (pronounced Tay-wed) and thenblock is call SISAO (see-souw)-learning to say ' Sisao Thewet' will assist your return journey, particularly with taxi and tuk-tuk drivers.